Brooklyn Law Firm, Goldberg Sager & Associates | What if the other driver does not have insurance after a car accident? Home / Video Faq / Personal Injury - What if the other driver does not have insurance after a car accident? 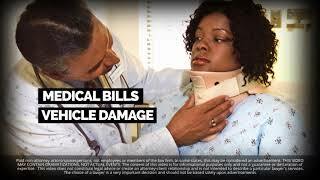 What if the other driver does not have insurance after a car accident? Goldberg Sager & Associates, located in Brooklyn, discusses what happens if you get into a car accident and the other drive does not have any insurance. Goldberg Sager & Associates, located in Brooklyn, discusses what a contingency fee is in a personal injury case. Goldberg Sager & Associates, located in Brooklyn, discusses if you have a personal injury claim. Goldberg Sager & Associates, located in Brooklyn, discusses what you should do and how you should respond after a car accident. Goldberg Sager & Associates, located in Brooklyn, discusses how much you can get for your personal injury settlement. What is the Statute Limitations on a Personal Injury Claim? Goldberg Sager & Associates, located in Brooklyn, discusses the statute of limitations on personal injury claims. Should I Settle with the insurance company after a Personal Injury? Goldberg Sager & Associates, located in Brooklyn, discusses what a wrongful death claim is. Goldberg Sager & Associates, located in Brooklyn, discusses whether or not you should talk to the police after a car accident.